Little girl sitting on couch and knitting wool scarf. 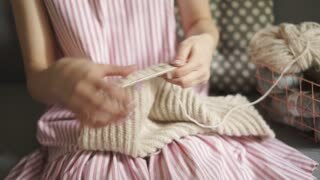 Young girl using needles for knitting wool clothes in home room. Girl making handmade clothes.